Some of the best and the brightest in the industry. Meet our team of experienced specialists. Showing prowess in art as a young man, Greg began learning the techniques of drawing and painting from a local artist on the Mississippi Gulf Coast. He was enthralled with the concept of traditional art … paints, textures, brushes, canvas … until he discovered a brand new canvas. While Greg was in college studying Fine Arts and graphic design, Apple released the first of its "artistic" computers, the SE 30. With the help of an equally intrigued professor, Greg quickly converted to digital design on the Apple. 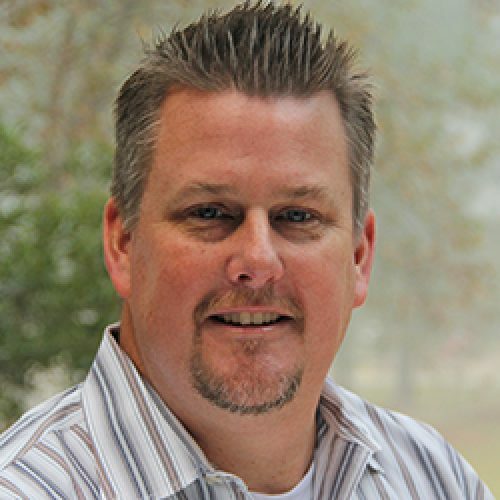 As Vice President, Director of Interactive Design at The Cirlot Agency, Greg is instrumental in the initial design and development strategy for interactive websites, micro-sites and technology platforms. In addition, he oversees digital presentation work and provides direction for interactive creative, videos and television for regional, national and international accounts. 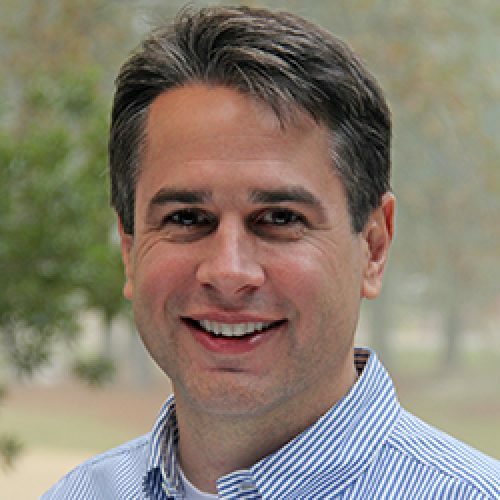 Greg has been instrumental in developing The Cirlot Agency’s Interactive Media division, and has produced web work for clients such as Bell Helicopter, Textron AirLand, Northrop Grumman, the U.S. Coast Guard, Longleaf Camo, Sanderson Farms Championship, C Spire, Mississippi Power, Habitat for Humanity, Bank of Yazoo and many others. Greg graduated from The University of South Alabama with a double major, which includes a Bachelor of Fine Arts degree in Fine Art with an emphasis in painting and a Bachelor of Fine Arts degree in Graphic Design. Lynda’s destiny was pretty evident when, as a toddler, she sang ad jingles instead of nursery rhymes – and sold her sister on the idea that playing “commercial” was more fun than playing “house.” Today, Lynda is still playing “commercial” … but now, she makes her livelihood doing it. As V.P., Creative Director for The Cirlot Agency, Lynda concepts, writes and executes creative work ranging from sales literature and digital ads to television commercials and interactive media for regional, national and international accounts. Lynda has acted as Creative Director and lead writer on all communications for the Mississippi, Believe It! campaign, as well as communications for myriad private and public companies including Bell Helicopter, Northrop Grumman, Ingalls Shipbuilding, Elbit Systems of America, Textron, Bush Brothers & Company, Sanderson Farms, and many others. She also provides strategic planning services to clients in brand development, marketing, advertising and public relations venues; discerns and communicates initial strategy direction for various projects to creative staff; supervises copywriters and art directors; provides quality assurance on all creative and public relations projects; presents creative work to clients; and executes various administrative duties. In her 28 years at The Cirlot Agency, Lynda has helped garner hundreds of awards for the Agency’s clients, including Telly’s, Communicators, Addy’s, Lanterns, Crystals, etc. Lynda is also known for her charitable activities, including work for the March of Dimes, Special Olympics, Friends of the Jackson Zoo, Gateway Rescue Mission and Willowood Developmental Center, to name a few. She is also an Elder at Fondren Presbyterian Church. 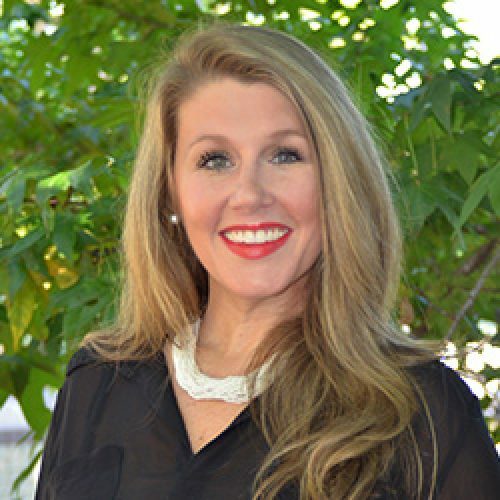 Lynda is a graduate of the University of Southern Mississippi and holds a Bachelor of Arts degree in advertising with a minor in marketing. She currently serves on the Advisory Board for USM’s School of Mass Communications and Journalism. From his earliest years, Steve showed an affinity for the arts. In fact, one of his most memorable gifts as a child was a drum set, which sparked a love of music that lives to this day. Since 1980, Steve has been involved in performing, producing and recording music. He studied jazz under the late Lee Fortier, trumpeter for Woody Herman’s Big Band. Steve plays a variety of instruments but considers drums and percussion his instruments of choice. He considers it a privilege to have performed and opened for acts like Alan Jackson, Charlie Daniels, Alabama, Hank Williams, Jr., and Ricky Skaggs, to name a few. Steve has a diverse background in the advertising industry. He has art directed photography, booked model talent and created ads for fashion publications and newspapers in New Orleans, Atlanta, Dallas and St. Louis. He has also created innovative direct mail, sales promotions for special events, and storewide campaigns for department store chains such as Goudchaux’s, Maison Blanche, Proffitts, Venture and McRae’s. Currently Executive Art Director for The Cirlot Agency, Steve is able to put his creative abilities to work in promoting everything from battleships to catfish. His account experience includes developing concepts and design for clients such as Textron Systems, Thales in the U.S., Northrop Grumman, Elbit Systems of America, Bell Helicopter, the U.S. Coast Guard, Raytheon, Malaco Records, Community Bank, St. Dominic Hospital and Merrill Lynch, among many others. Steve oversees the artistic development of marketing and promotional materials, including print, television and outdoor advertisements, collateral materials, websites, social media graphics, eblasts and internal and external corporate publications. Steve also supervises graphic artists, photographers, and illustrators on projects and works with copywriters to develop strategies for advertising campaigns. Steve majored in Graphic Design at Louisiana State University, from which he received a Bachelor of Fine Arts degree. At first glance, holding the position of CFO makes perfect sense for Sharon. After all, she is a person who sees the world in black and white – which serves her well professionally. But, on second glance, she is also a beach-loving, kayaking, Jeep-riding, outdoorsy girl who, in retrospect, would have called you crazy if you had said crunching numbers would become such a big part of her life. As CFO, Sharon is responsible for the day-to-day operations of the accounting department, as well as financial reporting to the CEO and COO. 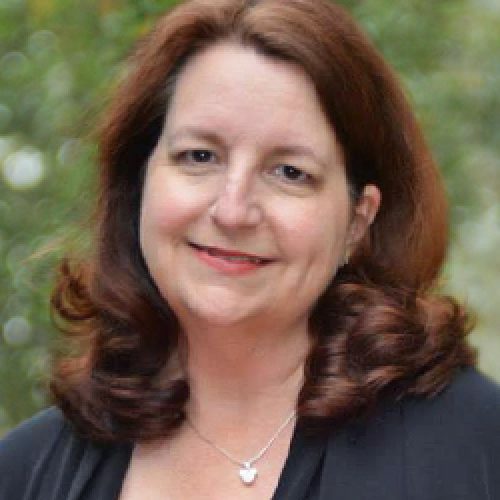 She also heads the human resources department, and is responsible for payroll and all associated taxes, insurance, benefit reporting and compliance. Sometimes referred to as the “office Mama,” Sharon is also nurturing, kind-hearted and easy to talk to. Her favorite job responsibility, however, is putting everything in order – numbers, data, papers, files, and sometimes even people! She has a very strong sense of place that has guided her well throughout her 25 years at The Cirlot Agency. In fact, it's been wagered around the office that Navy admirals don't run a tighter ship than Sharon! Extremely purpose driven, Sharon is motivated daily by the people and clients who depend on her to get it right, which also includes everyone at The Cirlot Agency. It's well-known at the firm that if you need something done right, and you need to know exactly how, what or where something is, you go ask Sharon. You may not always like her answer, but there is very little disputing the facts – they are as plain as black and white. This may sound trite, but Lisa never meets a stranger. Ever. Perhaps it’s a trait she acquired growing up as a "preacher’s kid" who moved around quite a bit. Regardless of the origins, she is, indeed, the proverbial "people person." Which bodes quite well for her position at The Cirlot Agency. 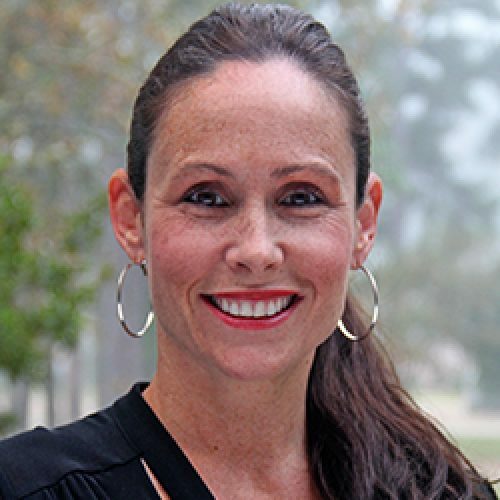 As Director of Marketing Services, Lisa has worked on such accounts as Aerospace Industries Association, ATK, BlueCross/BlueShield, Northrop Grumman, M&F Bank, Groen Industries and Elbit Systems of America, a subsidiary of Israel’s largest defense company, to name a few. Day to day, Lisa serves as the direct liaison between the client and the firm’s creative, market research, media and public relations departments to develop effective marketing results for her clients on time and within budget. Also serving as brand watchdog, Lisa works with her clients to be sure that all messages, both internal and external, are consistent and on target. Lisa’s responsibilities also include a comprehensive understanding of the clients’ target audience and product/service portfolio, along with the ability to effectively gauge competitors’ efforts and assist in the development of strategies to combat those efforts. With that, a great deal of time is spent researching the industry and competitors’ campaigns. 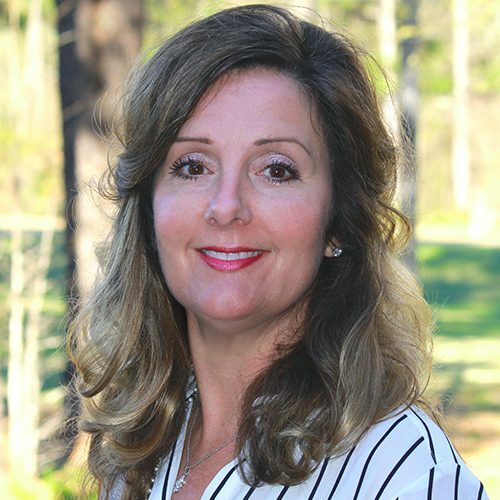 After attending Mississippi College, Lisa joined The Cirlot Agency’s team in 1994. A true philanthropist at heart, Lisa also volunteers for many non-profits, including Habitat for Humanity, the March of Dimes, Here’s Life Mission to Africa, Mistletoe Marketplace, Friends of the Jackson Zoo, and is a member of the Junior League of Jackson, volunteering in many capacities throughout the year. If Anna had a super power (and we’re neither admitting nor denying she does), it would be her uncanny ability to read people. She can be in the same room with a person and know what they are thinking even before they speak. This second sense allows her to connect with people on all levels and often predict the outcome of situations before they happen, which is the perfect super power for a public relations expert. However, with great power comes great responsibility. As Director of Public Relations for The Cirlot Agency, Anna works with clients to better understand their business goals and objectives in order to develop strategic communication plans that are integrated into all aspects of their communication and marketing campaigns. With expertise in all facets of the communication industry, including public relations, digital communications, marketing and crisis communication, Anna is able to leverage the latest technology to create customized communication strategies that reflect each client’s unique brand and resonate with specific audiences. Having worked both sides of the news desk while helping produce high-profile news events, such as the Iraq War and presidential elections, Anna has in-depth experience working alongside the national and international media. She has worked with many clients developing crisis communication strategies and long-term communication campaigns associated with major media events such as the BP Oil Spill and national rebuilding campaigns following Hurricane Katrina and the Indian Ocean Tsunami. Anna has also managed many large-scale press events, including red carpet awards ceremonies, high-profile celebrity engagements, concerts and major sporting events for MLB, NBA, NASCAR, BASS and FLW, to name a few. An Atlanta native and graduate of The University of West Georgia, Anna holds a Bachelor of Arts degree in Mass Communication with a minor in Political Science.